Q: When will I receive the payment after selling to mmobuyer as a new seller? A: Follow the tutorials, and if you make the proof of delivery as requested your payment will be sent after you make a withdrawal in your wallet, and also we will deal with the payments twice every day except weekends and holidays. Q: Do I lose my funds if I let them in my wallet? A: Once your orders are verified and approved, the cash goes into your wallet. Unless you withdraw it or change it for other stuffs, it won't go away. Q: How do I select where I want to receive the funds? A: We will set your first withdrawal as the default method. 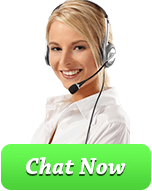 So if you used paypal, and now you want to use moneybookers or webmoney please let us know via live chat. Q: What fees do I have to pay when requesting payments? A: A certain amount of transaction fee will be taken by paypal/moneybookers based on their policy. For more you can contact us on Skype or Discord. Q: I sold currency to the old mmobuyer, does it count? A: Yes it does, get in touch with us, we will check our old logs, and if that's correct, you won't have to make a video of the delivery. Q: Sometimes the price is low, what should I do? A: Since this is based on real time demand and supply, the price will change quite often. Please don't keep your stock added if you don't agree to our price. The notification button is for all your servers, not just for some of them. A: That's simple, make sure your able to deliver the stock that you added, and you keep your notification accurate . Delivery should be done within 30 minutes after receiving the order. We suggest that you should add a smaller amount than your current stock, to avoid having to modify it every time you complete an order with another buyer. Q: What happens if my O.C.R. is low ? A: We will appoint the orders to other sellers that have a higher O.C.R. Q: I have some questions that weren't answered here. What should I do? A: Contact us using your preferring method. We're using everything : skype, email,live chat. Q: My account was suspended. Why? Most likely we suspended your account due to suspicious stock? Its less likely that you have 10m gold in wow, 100m credits in swtor, etc. You get the idea. The stock that you add will be reflected upon our selling websites and partners, hence we can't have fake stock. If you really have that much, prove it, and we will unsuspend your account. Your considered a thief of clients in the RMT . (After filling the order your contacting our customers and providing them with a better offer.). We won't unsuspend your account and all your future accounts will be banned upon creation. Your contact information will be shared into seller's blacklist in order to prevent you from stealing customers again from anyone.We have proof that you sold currency stolen from phished accounts, or currency acquired using exploits.